Anthill Films is excited to announce Dream Capture, a new 5-part series of short mountain bike stories. Presented by Sony and released throughout the 2013 season, each short story will be shot exclusively with Sony’s new Action Cam. The Trail Crawl kicked off at the infamous Kamloops Bike Ranch with a bunch of locals, including Graham Agassiz and Matty Miles. Followed by a quick hop to the Sunshine coast for a session with the Costal Crew’s Kyle Norbraten and Dylan Dunkerton. Then it was back to the mainland for a rock smashing session with Adam Billinghurst in Pemberton, and some dirt roosting in Squamish with local shredders, Luke and Reece from the C4 crew. Next, we met up with the guys from Freehub Mag to hit the flowy trails of Bellingham Washington and then made a mad dash down the coast for a pinner trail ride in Hood River Oregon with the Dakine crew. The first five days of the trip covered a lot of ground in the pacific North West. But to get all of Thomas’ favorite trails to fit into one week, it only made sense to jump on a plane to link Oregon with southern Nevada. An obligatory night was spent in Sin City that resulted in a more “traditional” crawl. But it wasn’t long before Thomas and the crew got back on schedule and laid tracks on the slick rock of Moab Utah with his friends from Western Spirit Cycling. The Crawl ended on a high note with a stop at the original Rampage site for a run down King Kong, and some of the other epic ridgeline descents that the zone is known for. After one week, The Trail Crawl had condensed an insane amount of riding, into one continuous blur of great people, good times, rad trails, amazing places and maybe a few beers. 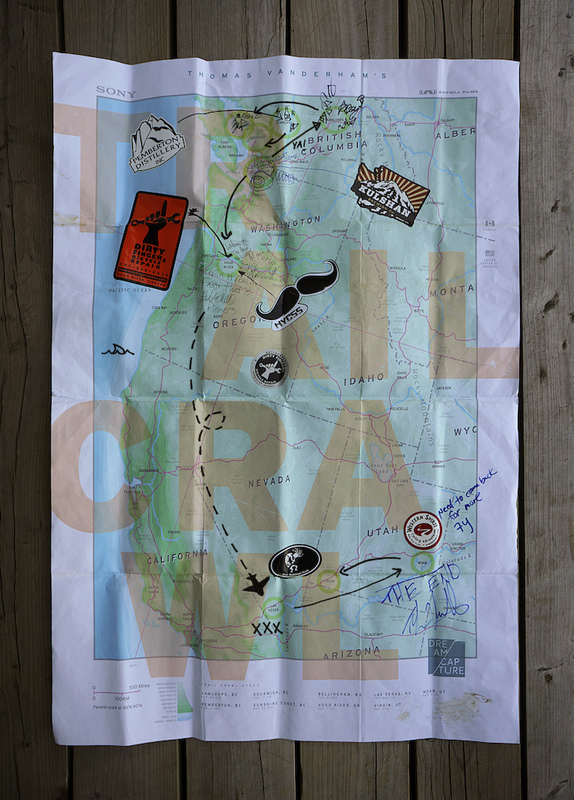 A big thank you is extended out to all of the locals, guides, and friends who made Thomas’ Trail Crawl possible. Stay tuned for the next installment of Anthill’s Dream Capture short series shot exclusively on the Action Cam by Sony. New stories will be released throughout the season, featuring riders: Matt Hunter, Brett Rheeder, Casey Brown and Adam Billinghurst. Uhhh...is it possible to be the VOD when you're already on the front page? Amazing footage of a trip most people can only dream of. Can't wait for the next episodes! That was sick but far from 1080....? Now we know how our hand sees a sausage in the making. Sweet! no, actually they arent that good. does anybody else think that it looks like a contour? @samtomkins, no I switched it to 1080 before I started watching it, it just seemed very grainy. The frame rate looked slow too but that may have been my connection speed. I'd like to see the raw file to be sure 'cos youtube can be funny, but my gopro smashes the quality of this vid. deer playing pool at the end made the video.....The riding was sick too though. and that camera angle where its on the rim is straight up trippy!!! Sick footage but quality was off a touch. Compression or cam? I've heard that its the compression, but the compression is automatic and unavoidable with the cam..
Hard to tell with Youtube - it has pretty heavy handed compression. Vimeo is much easier to judge actual footage quality. Something is strange about the Sony Action Cam videos I have watched. Maybe its their stabilization software at work, but the quality seems this strange mix of too much sharpness and pixelation. Don't get me wrong, at some points its crystal clear, but something just seems a bit off thus far. Regardless great riding. Great angles for sure, but the video quality of the cam is severely lacking compared to the new GoPros or Contours...But it was a good video and a great marketing tool for Sony, especially since they are coming into the small action cam game very late and with an inferior product..
even the 1st gen gopro HD kicks the a$$ out of sony. Most of the reels that GoPro puts out are amazing but they select only the Perfect shots where the camera was able to expose right. SONY made a sony based edit where all the shots were used throughout there trip, thats a challenge! Mountain Biking is THE HARDEST sport for those cameras to work!! The exposure change in the woods is so hard. GOPRO's are good but look like S%^T in low light too!! Contour's are the worst! Buddy there was plenty of light in the whole vid. Its obvious there were some quality issues here-i can measure the pixels with a metre stick. Id like to see some more edits with the sony before i cast judgement though. Yea, pretty awesome concept, but nothing that couldn't have been executed with higher quality with a GoPro. Maybe this kind of marketing works, but I think people buy video equipment based on image quality and features, not necessarily a cool video project made with it. I like the concept of shooting only with a POV camera. It goes to show that a good film can be created with out fancy equipment and it should lead to inspire amateur videographers with limited equipment. I know that I've been inspired. "Americano...with a camera attached to it!" Vanderham sure loves his coffee! Nice one. Lots of cool places! The trail in Hood River next to the cliff looks really cool. Super fun day riding w/ Thomas & hanging w/ the Anthill boys. Come back to Moab anytime and I'll show you more of the goods! Better yet come on Western Spirit trip next time! Looked at the specs for the sony action cam. 170 degree wide angle lense, full HD recording, 35o bucks with all the needed accessories. Looks like we have a new toy to capture the ride. I loved some of the camera angles, I can only imagine how annoying it was to have a cam strapped to you in some of those spots. This is by far the best edit I've seen in a long time with some awesome camera angles! Moar of Vanderham!?!?!?!?! Alwyas MOAR VANDERHAM!!!! Awesome footage, but that was painful to listen to. Go Pro? I think you are on the wrong site man. What makes you think it is better than this camera? I tried GoPro 3HD Black edition , the Contour and this. Quality and speed is so much better on Sony. Quality didn't look that great to me compared to my GoPro. GOPRO is great and all but it is nice to see some competition. Its good to keep everybody on their toes in terms of price and quality. i agree, whats the price on these sony's? If this were to go up on here/pinkbike (uploaded I mean) I am sure this would get vod. Really good edit! 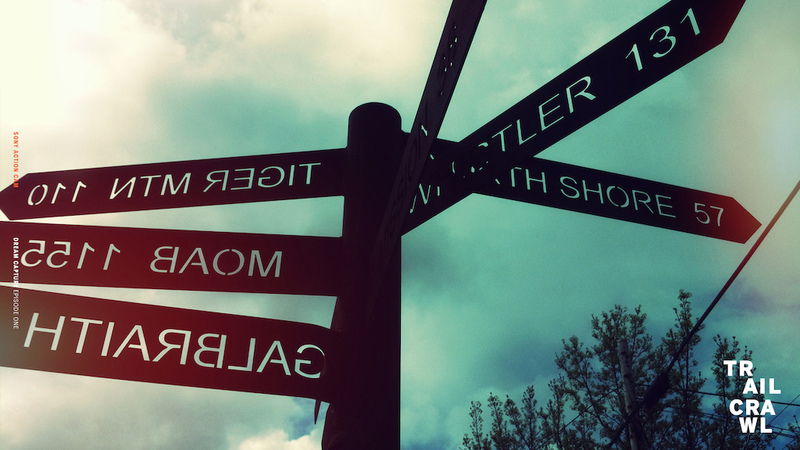 Where is that trail sign located? Awesome!!! V A N D E R H A M ! ! ! best part was the brushing teeth commentary... brought it home for me. One of the coolest POV edits ever. Nice. Really good vid! I need to ride now!! Amazing vid, super creative angle to it. I was just hoping to see the "I'm faster than you" guy. 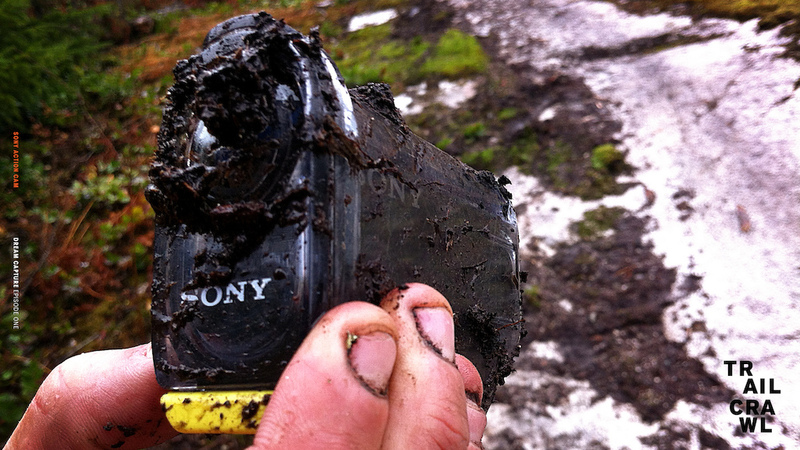 Is it mud proof or was that what not to do to it? and I have Vanderham seat post. Music kinda ruined the flow of the vid.